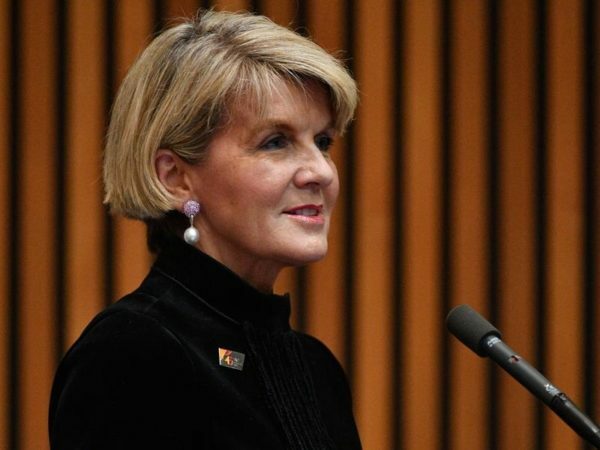 Foreign Minister Julie Bishop says Australia shares many concerns held by the United States about the UN Human Rights Council, but will not be pulling out. The US ambassador to the United Nations Nikki Haley described the council as a “cesspool of political bias” which ignores the atrocities of its members. Ms Bishop is disappointed by America’s decision to withdraw, but shares its concerns about areas of contention, including the council’s “anti-Israel bias”. “We are committed to progress effective and meaningful reform to enable the council to more effectively carry out its role,” the minister said in a statement on Wednesday. Ms Bishop said it was in Australia’s national interest to shape the work of the council and uphold the international rules-based order. “Australia has pledged to be a principled, pragmatic and consultative member, bringing a unique Indo-Pacific perspective to our term and amplify the voices of our Pacific neighbours,” she said. Australia’s second session as a member of the UNHRC began in Geneva this week. Labor foreign affairs spokeswoman Penny Wong is concerned the US withdrawing from the council risks emboldening those who do not share Australia’s support for democracy and human rights. “It’s entirely a matter for the US which international bodies it chooses to be a member of,” Senator Wong said. Amnesty International said Australia’s role on the council is now more important than ever. “We should work towards having the US rejoin the Human Rights Council, but Australia also must now step up and fill the leadership gap, especially on human rights abuses in our region,” advocacy manager Emma Bull said.